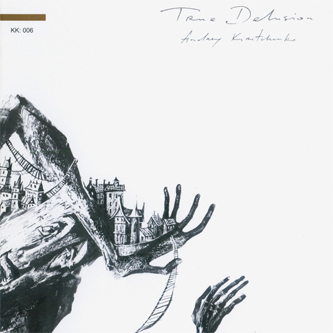 True Delusion was the first album Andrey Kiritchenko recorded for the Spekk label, originally seeing a release in 2005. The record was constructed from fragmentary experiments with guitar and piano, all fastened together with a network of rural, natural sounds, or room noises. The record seems to be divided into two sections according to the first half being dominated by guitar-based compositions and the second by piano. Generally speaking the guitar pieces tend to exhibit a more unstable, even aggressive quality, with tracks like 'Good Of Bad teetering on the verge of outright noise music. With 'Illusion Of Safety' there's a far more serene feel dominating proceedings, and even the potentially quite difficult one-note minimalism of 'Illusory Self Motion' only builds tension so far as its chaotic, cascading pay-off two-thirds of the way through. Though not quite as polished as his more recent long-player Misterrious, True Delusion has a certain vibrant rawness about it that still carries the essence of the composer/producer's art.